Are you having trouble finding the perfect rug for your space? Maybe you’ve found an Antique Reproduction carpet you absolutely love, but the colors and sizing are a bit off? 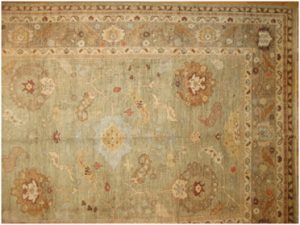 At Keivan Woven Arts, we offer our clients the opportunity to design their very own custom rug, inspired by almost any of the Antique Reproduction carpets in our vast collection. Read on for more information about this process. 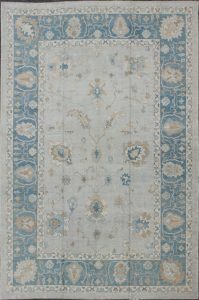 This is an image of an Antique Reproduction carpet that was selected by a designer to be modified. The designer wanted the rug’s colors to coordinate more closely with other colors in the space. 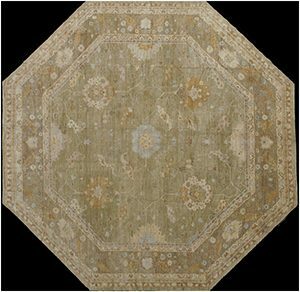 The designer also asked for the shape and size of the rug to be altered so that it was octagonal and 16′ x 16′. Next, a computer-animated drawing (CAD) will be created so that you may visualize the design and proportion of elements applied to the final product. Although the CAD will not display the colors you’ve selected accurately, it will give you an idea of how the design will be articulated in relation to the dimensions and/or shape of the rug. If necessary, a corner sample of the rug could be made in order to verify the colors are in-line with your desired palette. 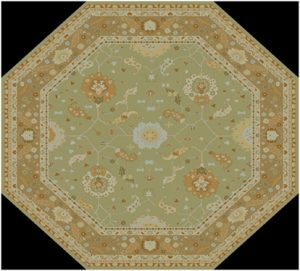 Here is an image of the CAD created for the rug pictured above. Then the hand-weaving of your custom creation begins! 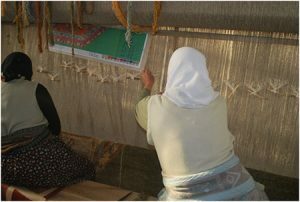 The number of weavers working on your rug depends on its size and how quickly you need it to be woven. 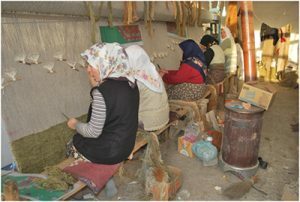 Here are some photos of rug weavers creating one of our custom carpets. First, shearing will give the rug a nice finish. It makes the pile of your rug even and prevents fuzzing, peeling, and matting. It also enhances the color and definition of the rug, making it appear more crisp. Next, the rug is stretched and shaped–a process known as blocking–to prevent wrinkles and guarantee it lays flat. And lastly, the rug will be professional washed and cleaned to ensure it arrives to you in pristine condition. 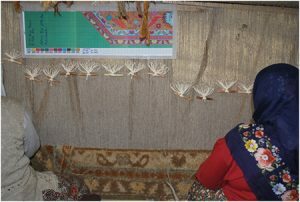 Once the rug has completed its final stages of production, it’s ready to be shipped to you to enjoy. When you receive your rug, place it in your home on top of a rug pad. Rug pads are important because, not only will they prevent slips and provide extra padding, they may even extend the life of your new rug by cutting down on the friction between the bottom of your rug and your floor. Now sit back, relax, and enjoy the custom creation you so expertly designed! Here is the final product, with the exact design from the original CAD and modified colors to coordinate with fabrics and other colors in the space. Leave your questions about creating custom carpets from Antique Reproduction rugs in the comments below. And click here to browse the custom rug offerings from the custom collections on our website.